Although arthrosis is well-known to many people, few like this acquaintance. All those affected with osteoarthritis have the opportunity to find some basic useful information in this section. This information will help you realize that you are not alone and in fact many people struggle with this form of pain. 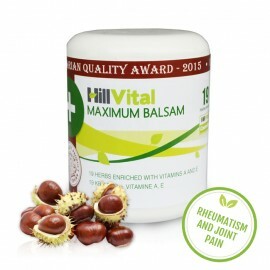 HillVital products are an excellent alternative to traditional medical procedures for arthrosis. They serve as means of alleviating pain, but also as prevention. Our primary goal is to offer our customers natural herbal products for a variety of diseases and conditions. 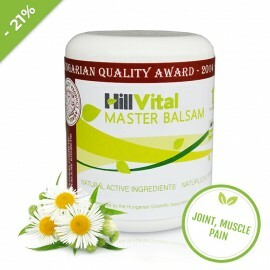 HillVital products helped many satisfied customers alleviate joint pain and slow down the articular cartilage degeneration. Positive reviews bring us joy. 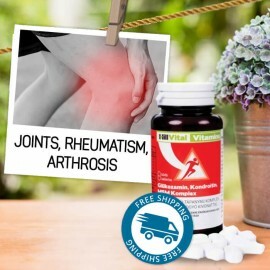 For rheumatism, osteoporosis, and joint and cartilage problems. It contains 19 natural herbs that help treat rheumatism, arthrosis, and osteoporosis. Maximum helps relieve inflammation and swelling. Our products are the result of hundreds of years of human experience with the healing effects of herbs, various ways of their processing, mixing, extraction and concentration. You will find natural remedies that reduce and relieve joint pain caused by arthrosis. We offer you a wide range of natural painkillers now available at great deals. Our products have a cooling effect that brings relaxation and relief from heat and swelling. 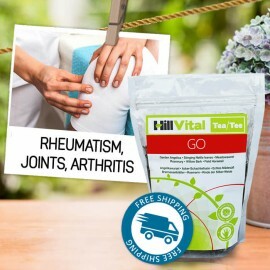 You will also find teas and vitamin packs that stimulate and support the process of the natural joint and articular cartilage regeneration. This fact has led many doctors to believe that aging and degeneration of joints as a result of wear and tear is a major cause of osteoarthritis. Indeed, significant osteoarthritis symptoms occur in more than 60% of the population over the age of 65, and the areas affected the most are weight-bearing joints. This disease is equally represented in women and men. However, men and women have trouble with different joints. Women suffer more frequently from hip joint pain whereas men are more affected by knee joints. There are more factors causing osteoarthritis than we already mentioned. These may be genetic predispositions, metabolic causes, congenital malformations, but also diseases such as, e.g. gout, endocrine disorders, hypertension, obesity. Another risk factor is diet and bad habits that affect our health. Such practices include but aren’t limited to smoking, lack of exercise, excessive exercise and the like. According to data published by the World Health Organization, osteoarthritis is the 4th most common cause of inability to work for women and 8th for men. The underlying pathological phenomena causing arthrosis are degenerative processes that result in a gradual erosion of the cartilage, disruption of its surface, cracks in its structure, and osteophytes (bone growths). As a result of these processes, the cartilage function as the absorber is disturbed. Changes in the cartilage structure lead to limitations of joint function. The primary function of the joint is its participation in the movement. The first symptoms of arthrosis include limited movement ability in the affected area which leads to pain. These symptoms are also associated with other difficulties, such as stiffening of the joints in the state of immobility, leading to inactivity. It takes some time, approximately 15 to 30 minutes, for a person to move. pain (Initial pain after motion or rest is followed with pain during exertion. Later and more serious stages of the illness are accompanied by pain at rest or night-time pain. Phenomena such as: limb position or weather changes can cause or worsen the pain). Professional literature works with several typologies of this disability with a basic classification of primary and secondary arthrosis. The cause of primary osteoarthritis is an intense long-term overload of joints. Secondary types of pain and joint damage include metabolic (gouty arthritis), anatomical (joint development disorders), post-traumatic (meniscus lesions and subsequent cartilage lesions), inflammatory (secondary joint infection). Another nomenclature of arthrosis disorders is based on the naming of, particularly affected joints. For example coxarthrosis - arthrosis of the hip, gonarthrosis - arthrosis of the knee, nodal osteoarthritis - osteoarthritis of the joints in the fingers and the like. The primary objective of arthrosis treatment is prevention against significant structural changes. The therapy attempts to reduce the progression of pathological changes and alleviate the accompanying symptoms, especially pain, inflammation, swelling. The aim is to avoid the impact of risk factors, improve or at least maintain the quality of life by minimizing both acute and chronic pain. The best way to achieve this is with Maximum Balm. The traditional medical approach to osteoarthritis treatment has several forms. First and foremost, it is about adjusting the everyday habits of a patient's life. The patient is aware of the limitations and necessary changes his health condition requires. Efforts to reduce excessive weight, adjust the home and work environment, and regular adequate exercise are the necessary means of non-pharmacological, conservative treatment. Physiotherapy is another form of beneficial treatment. Electrotherapy, acupuncture, laser therapy, cryotherapy, ultrasound, relaxing procedures, bath treatment, and others also bring many benefits. Humanity has for centuries been familiar with the many benefits of warm thermal springs on stifling aching joints and overall musculoskeletal system. Water containing sulfur is especially beneficial as it includes the right minerals. It's important to remember that in case of joint inflammation, it is necessary to cool it down. In such cases, warm mineral water could worsen the condition of the joint disease. Also included in the arthritis treatment are various orthotic and medical devices designed to support, protect and relieve joints. There are multiple devices on the market, such as orthopedic footwear, shoe inserts, crutches and the like. Walking with support will take the pressure off of the so-called weight-bearing joints. Another approach to arthrosis treatment is the use of various painkillers. Medicine distinguishes several types of drugs based on their chemical composition and area of influence. It is, e.g., analgesics such as e.g. paracetamol. These drugs only provide short-term relief and do not have anti-inflammatory effects. They require dosing and taking multiple times a day at regular time intervals. Other pharmacological categories include drugs such as diclofenac, ibuprofen, ketoprofen, piroxicam, meloxicam, and the like. Not only do these drugs work against pain, but they also have anti-inflammatory effects and also reduce fever. If the analgesics above do not produce the desired effect, such as alleviating pain, doctors take the approach of prescribing opioid analgesics. There are so-called weak and strong opioids. The first group includes, e.g. tramal, dihydrocodeine, to drugs such as morphine, fentanyl and others. The disadvantage of these analgesics is their unpleasant side effects that endanger the patient's mental and physical health. In the event of failure of the first two treatments both non-pharmacological and pharmacological, a surgical procedure in next on the bat. Especially in the case of severe forms of arthrosis of the knee and hip. Surgical treatments are operations such as arthroscopy and osteotomy. The last solution in the case of arthrosis is to replace the affected joint with an artificial joint, i.e., the implantation of a total endoprosthesis. The development of medicine and medical and other technologies has also become less risky and relatively safe. However, some anesthetics used in surgery can cause discomfort. It is up to the patient and his / her decision, whether or not to undergo a stifling or complete elimination of pain caused by arthrosis. "I Am a nurse, I believe in herbs, and because I only have one kidney, I use an alternative treatment. I suffer from arthrosis which causes me a lot of pain. I decided to try the Maximum ointment, and I was amazed. I haven’t felt pain for 4 hours following the application, and when I started to ache again, I simply reapplied it. You are a reputable company and deliver your products in the time-frame you promise. I hope you will be around for a long time because your product helps and I will continue to order it. Despite the higher price, this ointment is priceless."